Carping and complaining, moaning and groaning. Here the Israelites are, multiple years into their journey in the wilderness, and they are fed up to their gills with manna – you know, bread from heaven manna? – and what do they want? What do they really want after all these years of eating the bread of heaven? 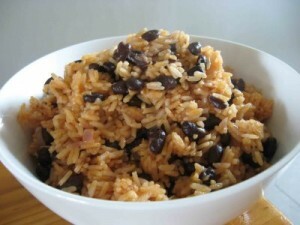 Oh, they can talk about the veggies and the fruit they used to eat in Egypt – I’m telling you, their doctors were probably really pleased, because they wanted a balanced diet, good for their hearts, but, no, what they really wanted was Capital M-Capital E.-Capital A.-Capital T-MEAT. Because they were tired of eating manna. It’s not like the Israelites didn’t have enough to eat – they did. They had the manna from heaven – the bread that God sent, in just the right amount. Every single morning, God sent them just the right amount of manna. And they didn’t want it anymore. Now I want you to know, in case no one has told you, manna actually is real. Manna is a real substance that you can find, to this day in the Sinai, if you are out in the remote areas, where the Israelites once sojourned. 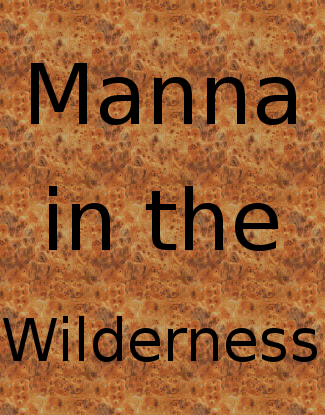 Manna is not what most people think it is. A lot of people think of manna and they think it is those little communion wafers that you get in church on Sunday mornings. Uh-uh-uh, that’s not manna. Manna is … um … plant lice excretion, also known as bug poop. That’s what the Israelites are complaining about this morning. They are tired of bug poop. It’s not that they are tired of having bug poop every day. What they are tired of is only having bug poop every day. And frankly, let’s be honest, if had to eat bug poop every day, wouldn’t you be tired of it? After all, there are only so many ways you can fix bug poop. You can boil it. You can bake it. You can toast it. That’s it. There’s nothing else you can do with it. And if you don’t do that pretty quick, it goes rotten anyway. So, we’re not exactly talking about gourmet meals that the Israelites had had all those years wandering in the wilderness. But it was not gourmet. The Israelites were not complaining about not having enough. Because they had enough. And it wasn’t simply that they wanted more – more food, more variety. They were complaining because they thought that they deserved more. They thought that they had been faithful long enough, wandering around in the wilderness, scooping up bug poop every single morning, and eating it morning, noon and night. They thought that they were special. And because they were special, they should have something more. The Israelites had forgotten that they were created in that image, the image of love and community, and in God’s version of love and community, it’s never about what you deserve. In God’s version of love and community, it’s not about what you have earned by your faithfulness. In God’s version of love and community, it is always about what God gives you. And what God gives you is always enough. The Israelites are getting a guaranteed meal delivered to their doorstep every single morning, and they are kvetching about this? They have enough, and they want more? And I remember asking them to teach me to cook those scraggly leaves with those scraggly onions and those scraggly excuses for tomatoes, and how much we all rejoiced when finally, some rain arrived, and we could once again grow some of our crops. I remember what it is like to be hungry every single day … to not have enough …he sugar would abate our hunger, but it did nothing for our nutrition, and our children there were just as malnourished, with their bellies just as distended, and their hair turning just as red as they did in Kenya. So you know what I think, when I read about the Israelites demanding more, demanding M-E-A-T-all-capital-letters-MEAT? I think: You have enough! Quit complaining! The sad thing is – and we do not like to admit this – we all are like the Israelites at some point in our lives. Because after a while, enough is not enough. After a while, we stop trying to keep up with the Joneses and we start trying to surpass the Joneses, and the next thing you know, we have more than enough, and the Joneses? Well, the Joneses are out of luck. This is what our society teaches us right now – you know this. Look at the advertising you see. Advertising that says, “Buy more, more, more, more!” And, “If you buy this, your life will be fulfilled!” Until the next version comes out. Adversiting tells us we simply cannot live if we do not have the latest version of whatever the newest thing is, if we do not wear the newest styles, if we do not drive the newest cars. But that attitude of us against them? That attitude that demands more, more, more? That attitude that leaves others in the dust? That is not God’s plan for us, my friends. That is not how God looks at us. That is not why God created us. Because in God’s very good creation, there is no such thing as “us’s” and “thems.” All of us – each of us and all of us – are beloved children of God. God’s plan is that each of us – every single one of us beloved children of God – has, quite simply, enough. Because in God’s very good creation, the one in which we who were created in God’s very image live, God’s plan, God’s dream, is that each one of us has enough. 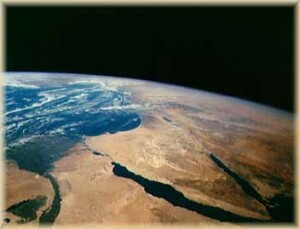 Our call, as faithful people of God, is to make God’s plan, God’s dream for God’s beloved creation, come to fruition. It is on us to do what God wants done. Which is what happened. If you keep reading in Numbers, remember, this is what happened. These carping, complaining, moaning, groaning, there-they-go-again, stiff-necked people, they got what they asked for, and you should always be careful about asking, because you might just get what you asked for. It’s not a pleasant ending to this story. But it does get across God’s basic message to us, who, I pray, are not carping, complaining, moaning, groaning, there-they-go-again, stiff-necked people. In God’s eyes, enough truly is enough. Sermon preached on the 18th Sunday after Pentecost, Proper 21, at Immanuel Episcopal Church, Glencoe, Md., on 30 September 2012. From Barbara Brown Taylor’s Bread of Angels, Cowley Publications, 1997. My friend and fellow missionary, The Rev. Canon Paul-Gordon Chandler, has written an eloquent piece on Episcopal News Service about what is going on in Egypt, where he is serves, particularly between the Muslims and Christians. Paul-Gordon, a mission partner with The Episcopal Church, is an author, Episcopal priest and interfaith advocate serving as the rector of St. John the Baptist Church in Cairo. Paul-Gordon writes especially of how he is called to help facilitate dialogue and understanding between the two faiths and Egypt struggles to live into its new identity. He speaks, too, of how he helped the United Nations organize a recent meeting of the most influential religious leaders, Muslim and Christian. [Episcopal News Service] Against the background buzz of the now-familiar sound of army helicopters flying overhead, it is an interesting time to pull aside from all that has recently made this region seem like the “Wild East” to reflect on Egypt’s present situation. On Friday, March 25, we celebrated the two-month anniversary of the beginning of the Egyptian uprising, popularly known as the “25 January Revolution.” We have indeed witnessed history. And it has been a time of profound emotion, full of exhilarating highs and exhausting lows. 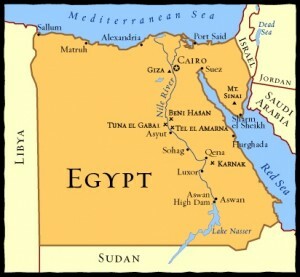 In contrast to the protests all over the Middle East, such as in Libya, Bahrain, Tunisia and Yemen, Egypt’s context is unique in that up to 10 percent of its population is Christian, mostly from the historic Coptic Orthodox Church founded by St. Mark. In the heat of the revolution and during its ongoing aftermath, this significant indigenous Christian presence has paradoxically allowed both for opportunities of unity and significant tension. If I had to sum up our recent experiences in the last two months, it would be in two words: celebrations and challenges. There is so much to celebrate. In addition to the obvious new freedoms that exist due to the overthrow of the oppressive regime, the revolution has brought about a new and profound interfaith spirit among the youth. Time and time again, thousands of young Egyptian Muslims and Christians have taken to the streets together, first to protest the repressive system, and then to celebrate their victory. The scenes are moving, as Egyptians wave flags and carry banners depicting the cross and crescent embracing, with slogans such as “The crescent and the cross are one. We are all Egyptians, Muslim and Christian.” Around the country, Muslim imams address religious harmony and the importance of unity in their Friday sermons. In the now world famous Tahrir Square, Muslims and Christians have prayed together for the unity and safety of Egypt. In essence the Egyptian revolution ended up as a summons to national unity, thereby condemning religious sectarianism. It has been deeply inspirational. To read the rest of his post, click here. From the Anglican Communion News Service this morning comes a report of a meeting of 19 bishops from around the world who met in Dar Es Salaam, Tanzania, at the end of February. The essence of relationships, of community, of being created in the Image of God: We really do need each other, because we are stronger together than apart. Talking with each other is not always easy. Even when a so-called “common” language is used, there is the opportunity for misunderstanding, willfully or unintentionally. That’s why dialogue – not just the conversation between two or more people, but the “exchange of ideas or opinions … with a view to reaching an amicable agreement or settlement,” as the dictionary defines it – is so important. When you tell me your story, you express you understanding of that story, you teach me to see the world through your eyes. When you then let me do the same with you, we have created a relationship. We may not see things the same way, we may not agree, but at least we will know how each other thinks, how each other approaches an issue or situation, and that understanding alone can be enough to build community. A world map showing the Provinces of the Anglican Communion (Blue). Also shown are the Churches in full communion with the Anglican Church: The Nordic Lutheran churches of the Porvoo Communion (Green), and the Old Catholic Churches in the Utrecht Union (Red). These bishops deserve kudos for their work in building up the beloved community of God. Nineteen bishops of the Anglican Communion this week announced that the Communion was stronger together than apart and that its members needed one another. 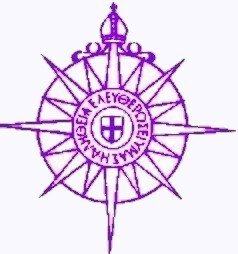 “We have found that in the wider context of conflicts around sexuality in the Anglican Communion, the conflict has provided us an opportunity to build bridges of mutual understanding to us as we choose to turn face to face with each other. We know that this topic requires the best of us in our dialogue: our mutuality and humility and prayer in listening and in speaking as we seek together for God’s wisdom (1 Corinthians 2:6-16). …. To read the ACNS story, with the full text of the statement attached, look here. This morning brought an e-mail from a former bishop in Rwanda, The Rt. Rev. Venuste Mutiganda, of a marvelous article published today in the New Times of Kigali. The article tells the story of two British diplomats – the High Commissioner to Rwanda, Ben Llewellyn Jones, and the Director of the Department for international Development (DfID), Elizabeth Carriere – who spent three days living with rural families in Rwanda. The article, found here, explores how these two high-ranking diplomats got to know the people, and what their lives are like, first-hand. This was no “grin-and-grip” visit, whereby the officials showed up in big cars, looked around, shook some hands, hand their photos take and then left. This was life – real life – experienced at its most basic. Llewellyn Jones, the High Commissioner, got up at 5 in the morning and tilled a field with a hoe and then planted some beans. 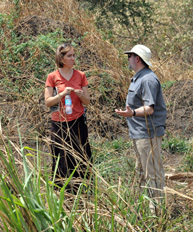 Carriere, the Director of DfiD, stayed with two sisters whose parents were killed in the 1994 genocide. In other words, in order to lift people out of poverty through charity alone, ActionAid works on helping people lift themselves out of poverty. One way to get out the message: Getting high-level diplomats, many of whom have never quite experienced deep poverty, to go live among the people, and develop relationships with them, at the most basic level. A new relationship was born, a relationship based in our common lives together. This is what mission is all about, folks. It’s not about “saving” people, or simply handing out our treasures. It’s about relating to each other as God relates to us – in love. Living with the poor – as they live, experiencing their lives every day – takes us outside of our own lives, our own perceptions (and misperceptions) and helps us to see all people as God’s beloved. Far too often, we see the extreme poverty of the world, we see people – from a distance – who have so little, and we throw up our hands and say, “Well, the poor we’ll always have with us.” Or we wonder, sometimes aloud, sometimes right in front of those poor people, why they haven’t done more to help themselves. But living in poverty is not a sin. Poverty itself is the sin. Not for those who experience it, but for those of us who have enough and allow others to not have enough. That’s the sin. 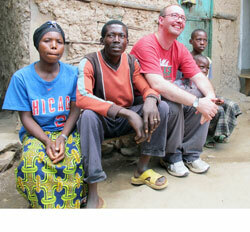 Will these little visits change everything overnight in Rwanda? Nope. But will they help two high-ranking British diplomats view the world differently? Most likely. Relationships do that to you. They change you. These relationships, this change, has all the hallmarks of the good mission into which God calls each of us.